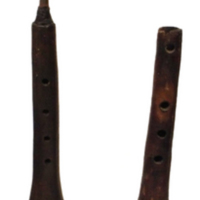 Two flute-like woodwinds (Shawms) with expanded ends or bells. They each have 4 finger holes, and one has drone hole on the underside of the fingerboard. 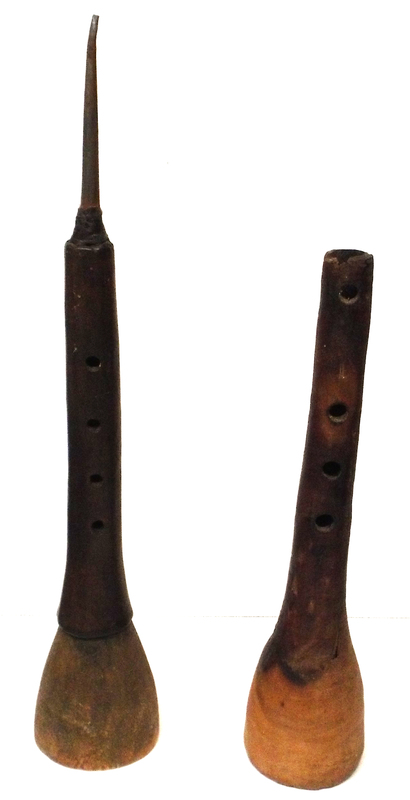 Both flutes are damaged; one lacks a reed; while the other lacks its entire mouthpiece. unknown, . “Algaita (2).” Truman Warner Anthropological Collection, MS048. WCSU Archives, 5 June 2018. Accessed on the Web: 18 Apr. 2019.